For active households, this one is almost inevitable. Little Timmy runs inside with a scraped knee, you clean it up and then spy a few red spots on your carpeting later on. It can be tricky removing blood stains from carpet, but it can be done. Take a tablespoon of your scent-free detergent and mix it with two cups of cold water. Using your clean cloth, place it in your solution and blot the stain. Remember to never rub the stain as that will push it further into the fibers. Continue to blot the stain and repeat the process until the stain is gone. If the stain has dried, take a brush to it to get it out. 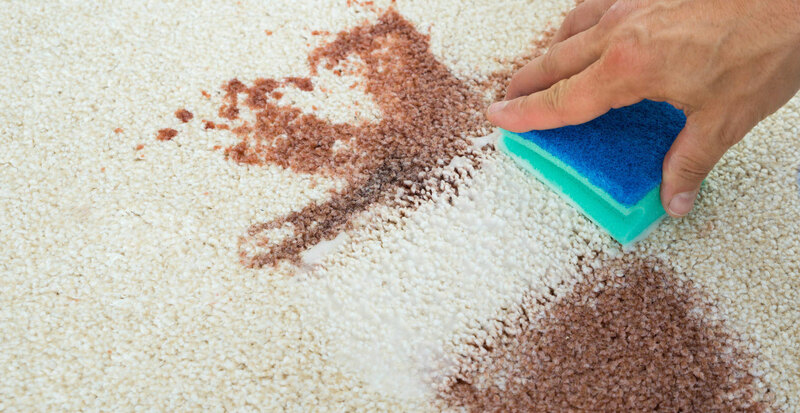 If the stain will not leave your carpeting, try mixing a tablespoon of ammonia with half a cup of warm water. Sponge the stain with the cloth and use the blotting method again. BEFORE you do any spot cleaning on your carpet, make sure to consult your carpet and flooring dealer first. All carpeting varies, and any accidental damage you do to your carpeting may void your warranties or cause extra issues. With that being said, make sure you check the warranties the manufacturer offers on your product. Some spot cleaning methods may not be suitable for all kinds of carpet, so keep that in mind before you move any further. If your carpeting refuses to come clean and you’re interested in getting your floors renewed, book a free in-home carpet estimate with us and we will take care of your project. 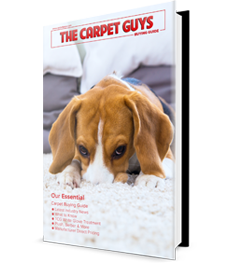 We carry a large variety of carpet products from leading manufacturers in the business. On top of that, we offer lifetime installation warranties on every project we handle! P.S. For more examples of stain cleaning, check out The Carpet Guys YouTube channel.